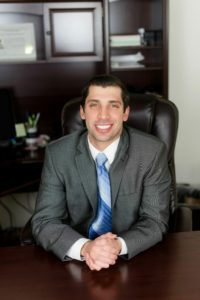 If you or a loved one needs assistance with a DCP&P related matter in New Jersey including representation during an investigation, questioning, or during litigation such as title 9, title 30, or removal proceedings, Mr. DiMarco is available to help. With offices conveniently located in Hackensack, Newark, and Morristown, he represents clients dealing with child abuse and neglect allegations throughout northern New Jersey. He is available now to assist you immediately at (908)-356-6900 and the initial consultation is always provided free of charge. Mr. DiMarco resides locally in Bergen County and is also available on nights and weekends if necessary.. Advocated on behalf of numerous parents and successfully conducted many fact-finding and termination hearings as well as administrative hearings in order to reunite parents with their children as soon as possible. Represented many parents accused of child abuse and neglect and conducted several Dodd hearings, fact-finding hearings, and termination hearings on behalf of clients. Drafted many appellate briefs and emergent motions for a multitude of family related issues such as domestic violence, removal of a child, parenting time, alimony, and child support. Defended numerous individuals in Superior court and Municipal court for an array of criminal matters ranging from violent offenses to possession of controlled dangerous substances as well as conducted several suppression and exclusions hearings and a jury trial involving first-degree charges. Researched and wrote briefs and memoranda of law on issues such as, reduction of sentence, search and seizure and post conviction relief petitions. As a criminal law clerk, conducted research and wrote judicial opinions and memoranda of law on issues such as search and seizures, Miranda violations, admissibility of evidence, municipal appeals and applications for post-conviction relief. Mr. DiMarco prides himself on providing exceptional service and personal attention to all of his clients at the Tormey Law Firm LLC. Please contact our offices anytime to speak with him directly at (908)-356-6900. The initial consultation is always provided free of charge.